St. James Volkswagen’s state-of-the-art facility features the most current diagnostic and repair equipment available, and our factory-trained technicians will deliver the most efficient and quality vehicle care. 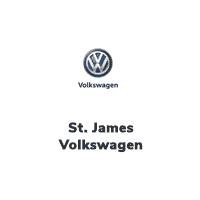 At St. James VW, our highly qualified technicians are here to provide exceptional service in a timely manner. From oil changes to transmission replacements, we are dedicated to maintaining top tier customer service, for both new and used vehicles! Allow our staff to demonstrate our commitment to excellence. We know there are plenty of car repair options in Winnipeg. We strive to keep you informed during the repair process and work to fix your vehicle so it is safe to drive again.